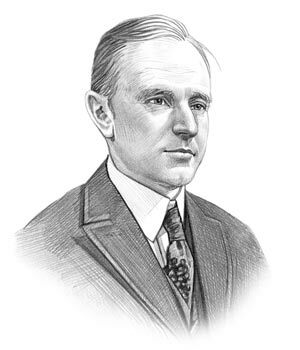 Summary and Definition: The Revenue Act of 1926 was part of the Mellon Plan to lower tax rates. The bill was introduced by Andrew Mellon as Secretary of the Treasury during the Republican administration of Calvin Coolidge. The Revenue Act of 1926 reduced the maximum individual tax rate from 40% to 25%. The Revenue Act of 1926 also addressed objections to the Revenue Act of 1924 by eliminating the gift tax and and ended public access to federal income tax returns. The bill also reduced inheritance and personal income taxes, cancelled many excise taxes. Calvin Coolidge was the 30th American President who served in office from August 2, 1923 to March 4, 1929. One of the important events during his presidency was the Revenue Act of 1926. The following fact sheet contains interesting facts and information on Revenue Act of 1926 for kids. Revenue Act of 1926 Fact 1: The 1926 law reduced the maximum individual income tax rate from 40% to 25%. Revenue Act of 1926 Fact 2: The bill addressed objections to the 1924 act by eliminating the gift tax and reduced the estate tax (inheritance tax) from 40% to 20%. Revenue Act of 1926 Fact 2: The estate tax (inheritance tax) was significantly reduced from 40% to 20%. Revenue Act of 1926 Fact 3: The act reversed the 1924 provision that allowed newspapers to publish details of people and their tax payments. Revenue Act of 1926 Fact 4: The bill reduced personal income taxes - by 1928 the majority of tax payers were paying ½% federal income tax and wealthy Americans were paying 25%. Revenue Act of 1924 Fact 7: The Roaring Twenties were a golden age for tax cuts that were introduced as part of the Mellon Plan. The new, reduced federal income tax rates put additional money into the hands of the consumers. Revenue Act of 1924 Fact 8: However, the federal income tax cuts contributed to the wild spending trends of consumers, which in turn led to the over-production of goods, which subsequently led to the 1929 Wall Street Crash. The article on the Revenue Act of 1926 provides detailed facts and a summary of one of the important events during his presidential term in office. The following Calvin Coolidge video will give you additional important facts and dates about the political events experienced by the 30th American President whose presidency spanned from August 2, 1923 to March 4, 1929.